WES has had the pleasure of several guest readers from Central Office lately. Recently, Administrative Assistant Kristi Farrell made her first appearance in the WES library when she came in to read Owen, written and illustrated by Kevin Henkes, to Ms. Al Cotter’s 5th-grade class. 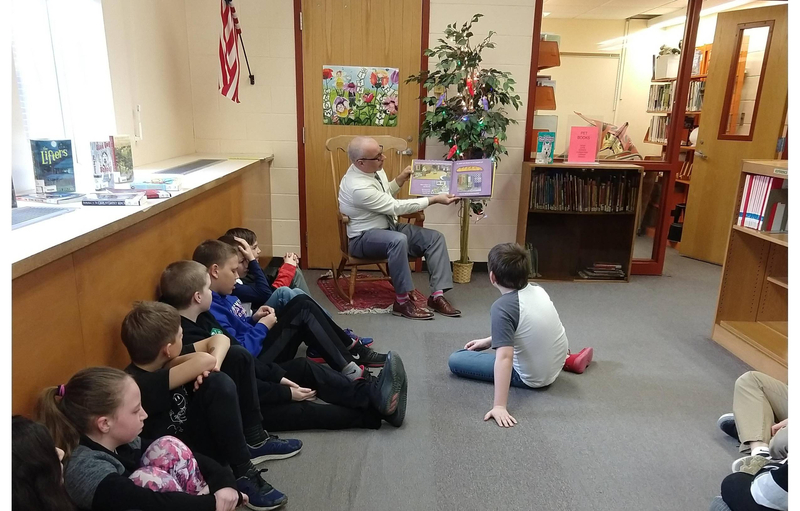 A frequent guest reader, Chief Academic Officer Keith Morin, returned to read Nanette’s Baguette, by Mo Willems, to Ms. Hilton’s 5th-grade class. Mr. Morin was also presented with a book written, illustrated and signed by all the students at WES for his support of the library and his willingness to always come and read to students. We are so lucky to have staff that is enthusiastic about reading and interacting with our students.